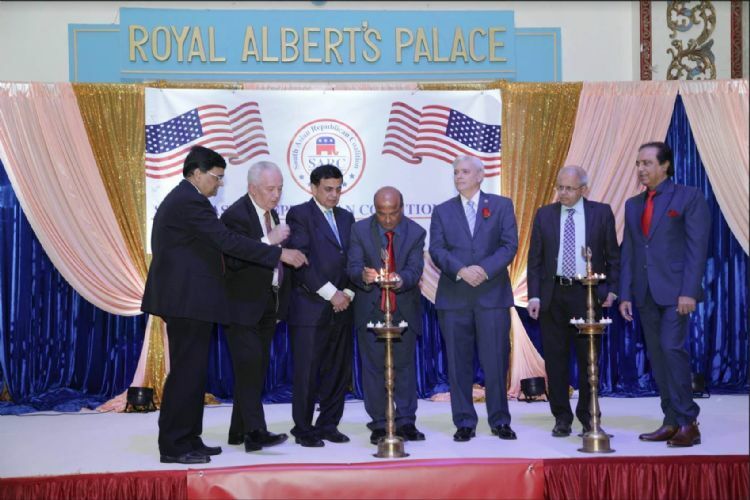 Edison, New Jersey, December 6th, 2019: The South Asian Republican Coalition (SARC) kicked off its formation with a dinner event at the Royal Albert's Palace in Edison on December 29th. 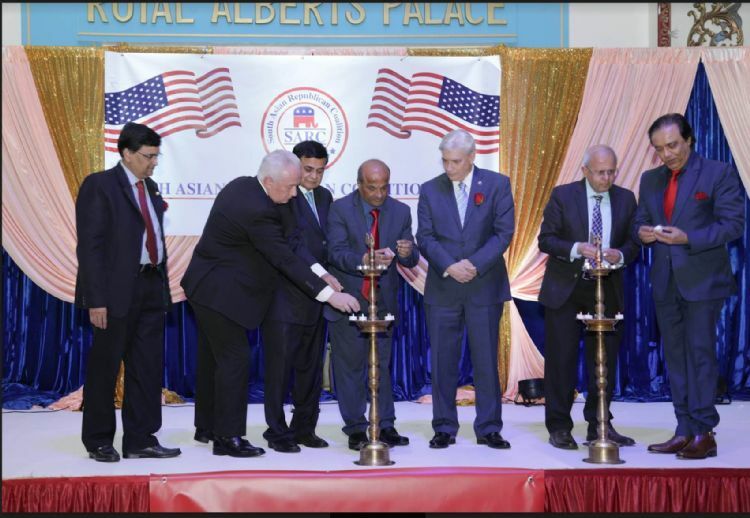 Several hundreds of people from Republican Party and from South Asian Communities were in attendance. The purpose of the SARC is to bring South Asian Americans from India, Pakistan, Sri Lanka, Bangladesh, Maldives, Afghanistan, Bhutan, Nepal and other countries together on to one platform for strong voice, to create awareness. SARC is founded by Hemant Bhatt in March, 2018. Hemant is a Businessman, Political operative, Activist and also Founder and President of TrumpMyPresident.com, Director, Immigration Relations, America Winning Coalition, Founder, President and CEO of fearmanagement.org and the Managing Director of Quick Insurance Agency. Mr. Pinakin Pathak who is also a businessman, community leader and philanthropist and Mr. Sridhar Chillara, a well known media personality, community leader, Founder and CEO of Mana TV, Mana TV International, TV5 International have joined hands with Hemant in December as Co-Founders of SARC to achieve SARC's mission, goals and objectives. Mr. Steven Rogers, Chairman of America Winning Coalition, Member of President Donald J. Trump Advisory Board 2020 and a retired law enforcement official given the keynote address and narrated the achievements and accomplishments of President Mr. Trump and his Administration. Padmashri Dr. Sudhir Parikh, a well known community leader, philanthropist and CEO of ITV Gold, Desi Talk and other media publications has congratulated SARC team on its launch. Sanjiv Pandya, a well known media personality and a community leader conducted the event.